Question: Can you tell us what Tommy Chong, “trick or treat!” and a triple AAA Canadian steak have in common? 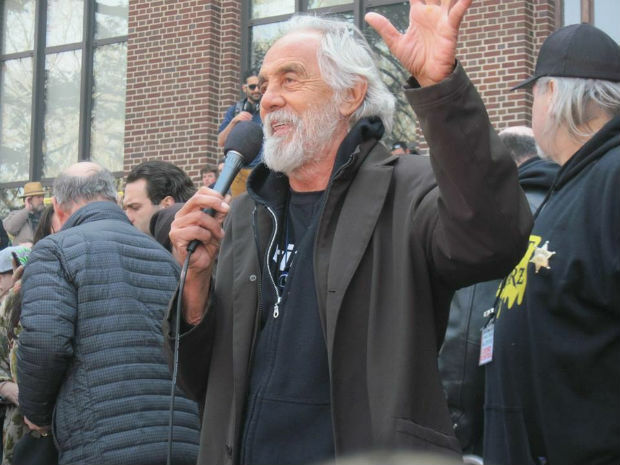 Tommy Chong, one half of the Cheech & Chong comedy duo. This month, we look to Alberta! Land of Stetsons and cattle. 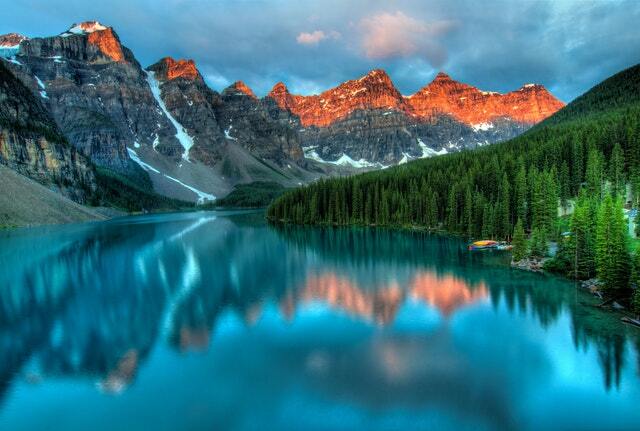 Majestic mountains and pristine lakes. Desert badlands and lush coniferous forests. Cities and prairies. Tegan and Sara. Famous Albertans: Mark Messier, Joni Mitchell, Bret Hart, Joe Clark, Michael J. Fox, Paul Gross, Elisha Cuthbert, Jann Arden. 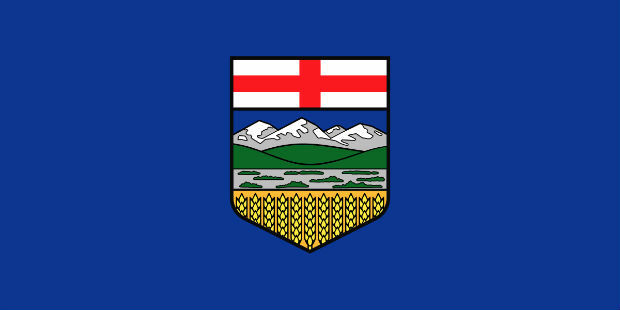 Canada’s 4th most populous province, Alberta joined Confederation in 1905, the same year as Saskatchewan. The southern part of the Northwest Territories was divided, and two provinces created. There’s your geographic birds n’ the bees lesson for the day. Calgary skyline, featuring the Saddledome, built for the ’88 Winter Olympics. I’ve already mentioned famous folk three times and we haven’t even got to the meat (beef, of course) and potatoes. Alberta certainly produced its share of noble and noteworthy people, some of whom may be a surprise. Also surprising, is the term “trick or treat!” and I don’t just mean when someone screams it behind you unexpectedly; the first use of this phrase is traced to Alberta, 1927. 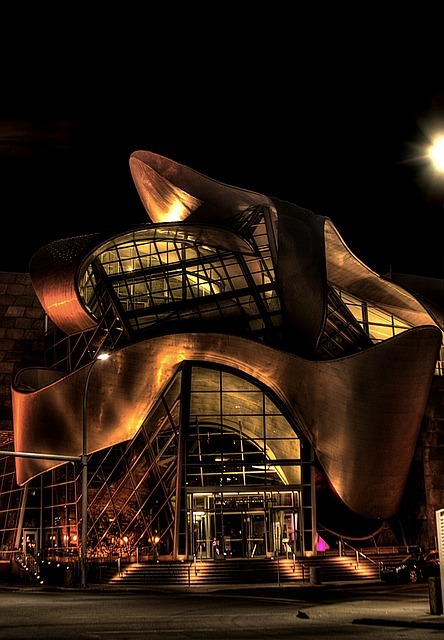 Edmonton is home to the striking Art Gallery of Alberta, pictured. 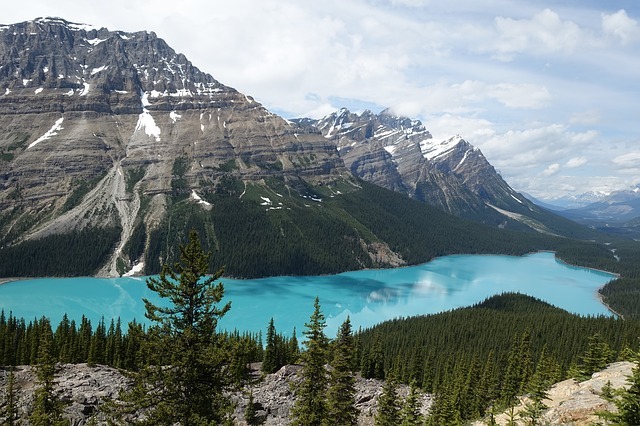 While these are some little-known facts, we all know Alberta travel opportunities include the renowned Calgary Stampede, some of Canada’s most beautiful landscapes and optimal skiing. Oh us funny Canadians. We love to poke fun at each other. We affectionately stereotype our BC buds as tree-hugging yogis. Albertans get the conservative cowboy rap. A map view of the two provinces almost represents them politically, too — left and right. Of course, there are many exceptions. As proudly steeped in ‘wild west’ tradition as it is, Alberta is also a vanguard. Calgary elected North America’s first Muslim mayor. There is a widespread appreciation of high culture; in 2013-2014, nine out of 10 Albertans attended or participated in the arts. Calgary, the province’s capital and largest city, grows more cosmopolitan each year. Its growth is mainly upward, as the heart of the Canadian oil industry, and architecturally, with clusters of soaring skyscrapers. Here you’ll find some of Canada’s best restaurants, contemporary art galleries and luxury accommodations. A city that underwent massive, destructive flooding in 2013, it stands today stronger than ever. Its tightly-knit communities worked tirelessly to overcome the catastrophe, a testament to Albertans’ resiliency and benevolent philanthropists. 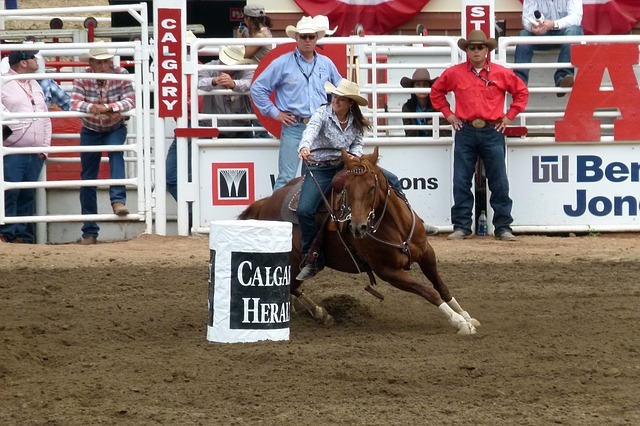 A horse barrel races at the Calgary Stampede, held every July. Of course, its nickname is “Cowtown,” which is most evident in its famous (and infamous!) Calgary Stampede. This annual rodeo festival, with plenty of beef n’ beer to boot, is a true spectacle. A marked departure from the original farming exhibitions once presented here, it celebrates what made Alberta an agricultural powerhouse. 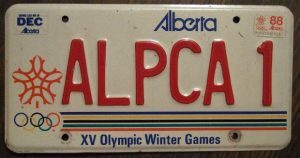 The immensely successful and memorable (for those of us old enough to remember) Calgary 1988 Olympics put the oil town on the global podium. It’s never looked back since. Alberta is famous for its fossils. Here’s one of a different kind. Edmonton, the second largest city, is about 3 hours’ due north of the capital. 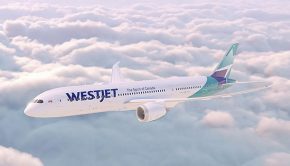 A hub for many connecting flights to and from Eastern Canada, it is also a popular stopover for travel to Jasper National Park. 10,878 km² of stunning protected land is one of Alberta’s biggest tourist attractions. Jasper’s jaw-dropping panoramas feature towering glaciers that pool into pristine lakes, snow-cloaked mountains including 11,033 Mt. Edith Cavell. If paradise is tropical trees and aqua ocean, this must be heaven. On the subject of Alberta national parks, let’s turn our focus to the breathtakingly beautiful town of Banff. 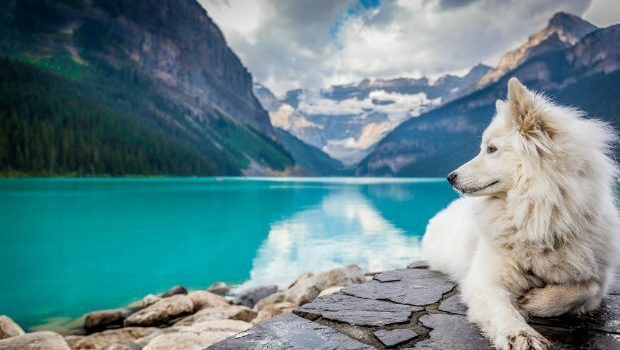 Weather in Banff is hottest in July, with daytime highs of about 20 C. Summertime is peak tourist season, which means cheaper airfares and accommodations for snow bunnies. That right there is a big advantage over other Canadian ski destinations. Winters are cold but Banff is the gateway to Alberta’s best skiing. January is the chilliest month, with an average -11 C temperature. 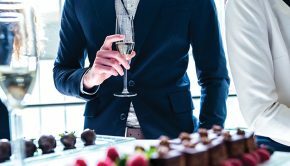 There are many ways to warm up, whether it’s at one of Banff’s five-star hotels and spas, or by a romantic fireplace in a cozy chalet. The name Banff comes from its honourary namesake, Banffshire, in Scotland. It is about 126 km west of Calgary and 58 km east of Lake Louise. This time of year, the points we’re referring to our mountain peaks. 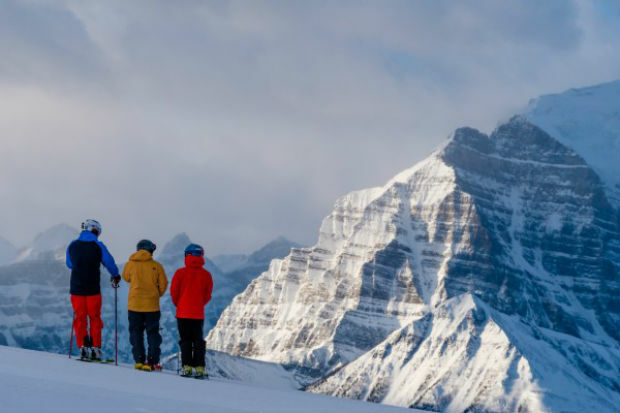 Alberta ski resorts open in November, and for any of us who prefer skis and snowboards to sandals, the best time to travel to Alberta is now until April. Alpine enthusiasts flock to the snowy Rockies when the Alberta ski season swings into powdery action. 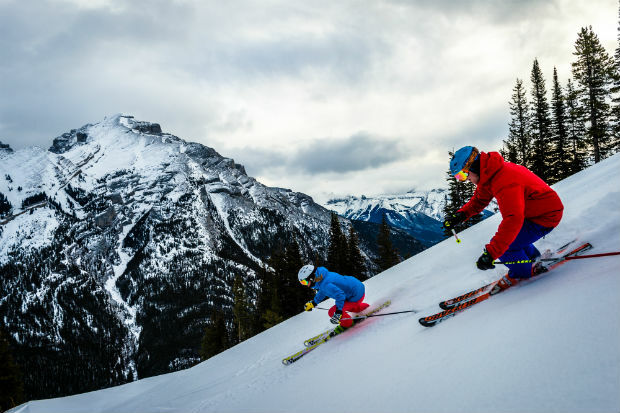 Alberta ski resorts offer some of the world’s best skiing, here in our backyard. The Banff ski hub is known as ‘The Big 3.’ It’s a snazzy and memorable marketing package term, but glorious Mother Nature is the best brand ambassador. 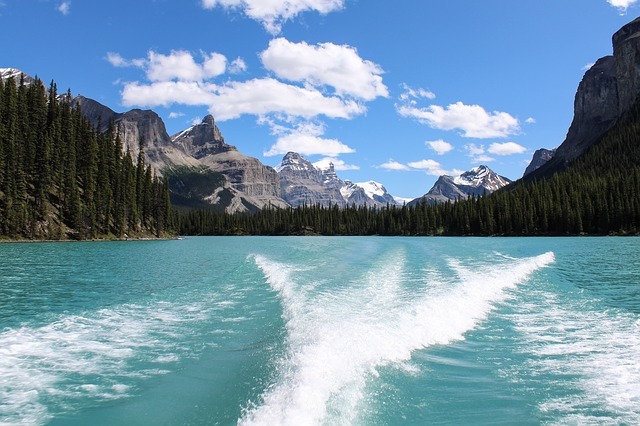 The Big 3 consists of Lake Louise, just outside of beautiful Banff, Sunshine Village and Mt Norquay. This trifecta of trails stands out for its acclaimed alpine conditions. What also makes these ski destinations unique is the Big 3 pass, a special lift ticket allowing visitors to enjoy all three destinations for one price tag. Each mountain is highly desirable to seasoned skiers and snowboarders, while young families can enjoy mild conditions towards the base. There are plenty of activities for those who don’t ski: ice climbing, mountain tunnel tours and Canmore’s notable observation area. As I mentioned, summer is the high tourist season in Banff. 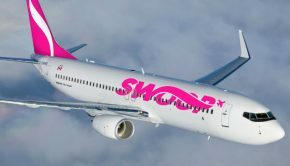 This means lower airfares and hotels for snow bunnies and wannabes alike. Of course, a Flight Centre travel agent will search for cheap flights to Alberta any time of the year. Are you ready to Rocky? 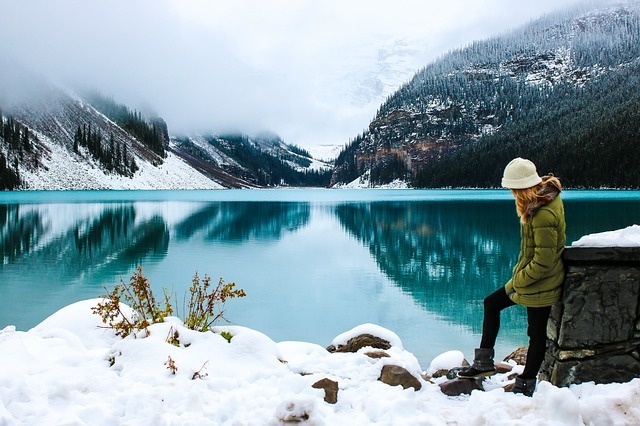 Stay tuned for our amazing Banff ski packages and Alberta vacation deals coming your way. If you want to be the first to know, why not subscribe to our free Club Red newsletter? Make that Alberta trip happen, with great airfare packages from across Canada. Customize your getaway with central hotels, car rentals and free expert advice with every booking. Call 1855 967 5302 or visit your closest Flight Centre store today.